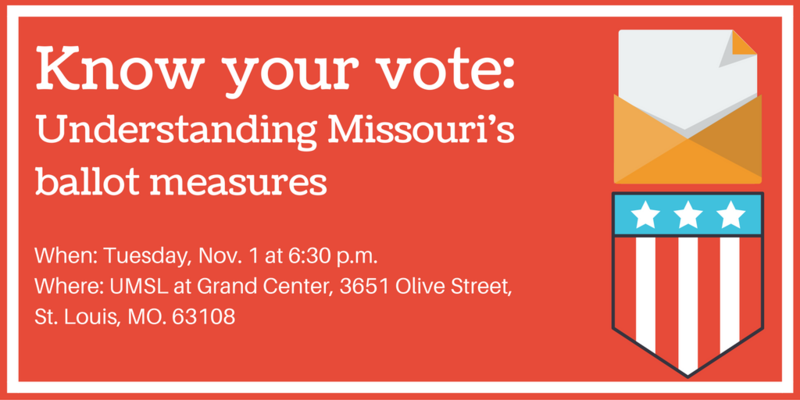 Join St. Louis on the Air host Don Marsh for a town hall event on Tuesday, Nov. 1 to discuss four of Missouri's most contested ballot measures. On Tuesday, Nov. 1 from 6:30-8:30 p.m., St. Louis on the Air hosted a moderated conversation in the Community Room at UMSL at Grand Center about Amendments 3, 4 and 6 as well as Proposition A. If you can’t make the event, never fear, we are airing the program on St. Louis on the Air the following two days, on Nov. 3 and 4. We’ll also discuss the following three ballot measures St. Louisans will be voting on, Amendments 1 and 2 and Proposition S, on a future show. Because these ballot measures face little to no organized opposition, we thought we would spend more time discussing the contentious amendments and proposition. Confused about what the ballot issues are about? Here’s a brief description and a link to completed, full "pro" and "con" posts about each measure. Would increase the taxes on cigarette packs to 60 cents by 2020 and impose an additional fee on tobacco wholesalers at an initial rate of 67 cents per pack. The proceeds of the tax would mostly go to early childhood education. Read more about what the amendment would do here. Read the full "pro/con" summary of the discussion here. Hear from a proponent and an opponent of Missouri's proposed Constitutional Amendment 3, which you will see on your Nov. 8 ballot, from St. Louis on the Air's town hall on Nov. 1. Would prohibit a new state sales or use tax on any service or activity that was not subject to a sales or use tax as of January 1, 2015. Read more about what the amendment would do here. Hear from a proponent and an opponent of Missouri's proposed Constitutional Amendment 4, which you will see on your Nov. 8 ballot, from St. Louis on the Air's town hall on Nov. 1. Would empower the state government to require the presentation of voter photo IDs at public elections for the purpose of identifying and proving national and state citizenship. Read more about what the amendment would do here. Hear from a proponent and an opponent of Missouri's proposed Constitutional Amendment 6, which you will see on your Nov. 8 ballot, from St. Louis on the Air's town hall on Nov. 1. Would increase taxes on cigarettes and other tobacco products a total of 23 cents per pack by 2021. The proceeds of the tax would go to fund transportation infrastructure. Read more about what the proposition would do here. Hear from a proponent and an opponent of Missouri's proposed Proposition A, which you will see on your Nov. 8 ballot, from St. Louis on the Air's town hall on Nov. 1. Would renew the state's parks and soils tax for another 10 years. The one-tenth of one percent tax brought in more than $88 million during Fiscal Year 2015, and the annual take has averaged roughly $78 million since 2001. Read more about what exactly the Amendment would do here. Would establish limits on campaign contributions by individuals or entities to political parties, political committees or committees to elect candidates for state or judicial office. This ballot measure has little organized opposition. Read more about what exactly the Amendment would do here. Would increase property taxes to pay for programs for seniors to help them continue living at home. If approved by voters in a simple majority, Prop S would add $9.50 to the property taxes of a home valued at $100,000. The money would be distributed to senior groups by a board appointed by local governments. There is little organized opposition to the proposition. Read more about what exactly the proposition would do here. You can find the original text of each measure here. You can also view a sample ballot here. 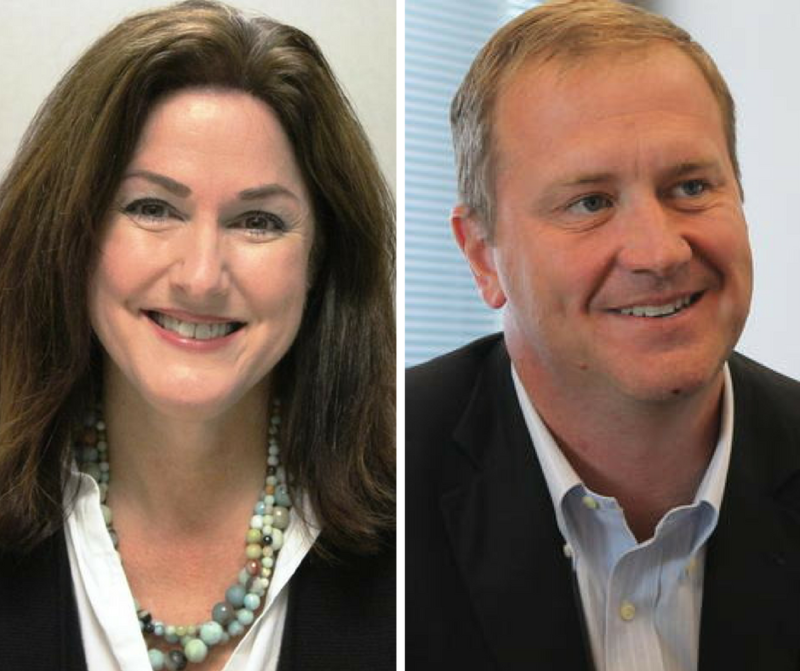 On Thursday’s St. Louis on the Air, we heard from Missouri’s Democratic and Republican candidates for Treasurer: Judy Baker and Eric Schmitt. 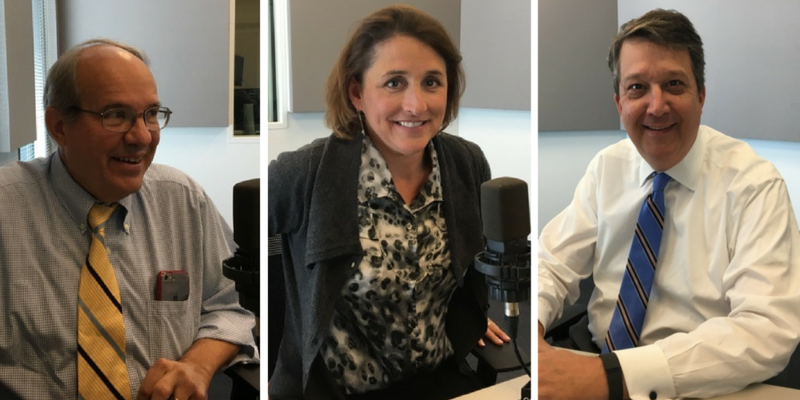 The two interviews are excerpted from earlier Politically Speaking podcasts conducted by St. Louis Public Radio political reporters Jo Mannies and Jason Rosenbaum. Baker is a former state representative who served for two terms representing some of Boone County. Schmitt is a state senator from Glendale who has served in that role since 2009. On the latest edition of the Politically Speaking podcast, St. Louis Public Radio’s Jason Rosenbaum and Jo Mannies welcome back U.S. Rep. Ann Wagner to the program. 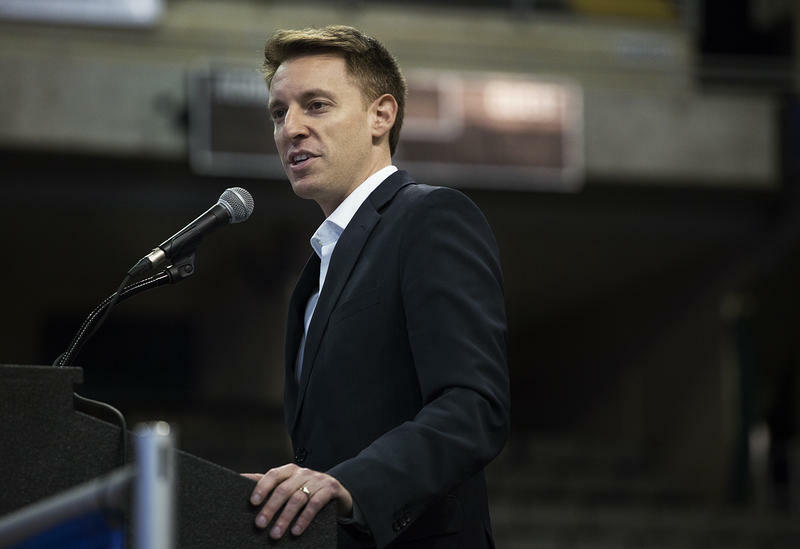 The Ballwin Republican is seeking re-election in Missouri’s 2nd Congressional District. That takes in portions of St. Louis County, Jefferson County and St. Charles County. Wagner is running against Democrat Bill Otto, a state representative from Maryland Heights who recorded an episode of Politically Speaking earlier this month.